Did you know that in TFC the demoman could drop a detpack which blew up specific parts of official maps, opening up new pathways for teammates? TF2 doesn’t have anything destroyable with that much influence on the game flow, but there are surprising number of things in official maps that don’t take well to damage. Luckily, this being TF2, most of them do indeed blow up. You can shoot out of that, so watch out! Ah, Watchtower, a member of the nearly-extinct Arena Map family. Known for being a giant tower with plenty of nice views for Snipers, Watchtower’s control point is one of the few shaded areas… Unless someone shoots the windows out. Yes, these are some of the very, very few windows in Team Fortress 2 that can be destroyed, and they give a bit of a tactical advantage too. 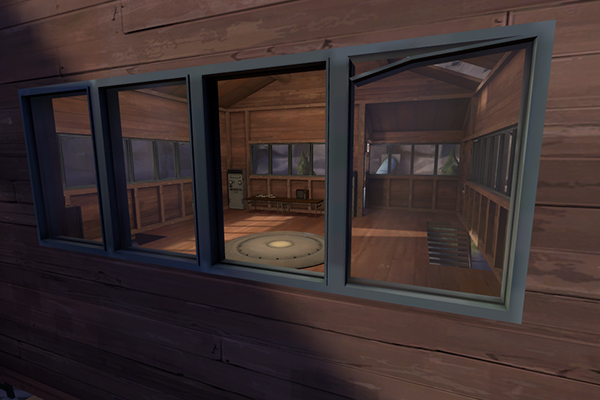 If you’re used to playing on Teufort, watch out if you’re standing near that glass, thinking people can’t shoot you. 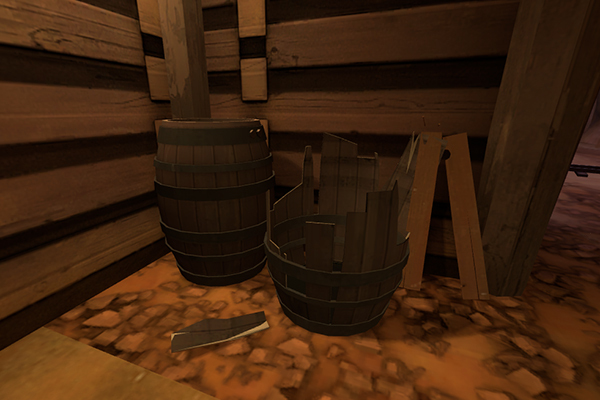 A destroyed barrel next to its unharmed counterpart on Dustbowl. You might not have noticed these barrels, but they explode in a magnificent manner. Like that window on Stage 2, Point 1, these are easily to miss as you breeze by on your way to Stage 1 Point 2. Simply take the right hand turn on the lower path towards Point 2. Like most breakable objects, these are very easy to break, so chances are they’ll have already been broken by a defending Soldier or Demoman firing around the corner. Before the Uber Update which released the Meet the Medic video and announced that Team Fortress 2 was free to play, there was the rare occurrence of doves appearing whenever a Scout was gibbed. What’s more interesting is that other, less lively doves appeared on various maps too. These doves didn’t do much, they just sat around watching everyone kill each other, until someone would inevitably decide to shoot one. A shot dove would explode, doing no damage at all. Turns out you could make them explode with pretty much any weapon. A picture of some rubbish outside RED’s base. 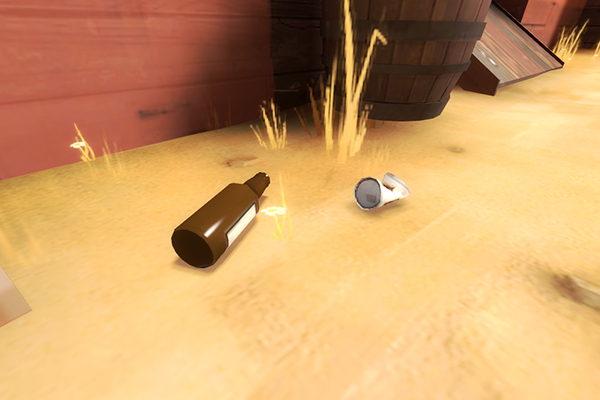 There is rubbish scattered all over the place in most TF2 maps. Most of the time, you don’t notice it. It just sits there, being ignores, and the mercenaries don’t do anything about it. If the citizens of Teufort couldn’t punish Spy and Scout for killing people and blowing things up, they certainly could have fined them for littering. Turns out, most of the rubbish, often seen by the two main entrances into RED’s base, next to that crate that looks like it’s breakable, can be knocked around by explosions, bullets and whacks with your melee weapon. A note though, there’s two bottles in the tunnels in Doomsday that can’t be budged, no matter how much you shoot them. 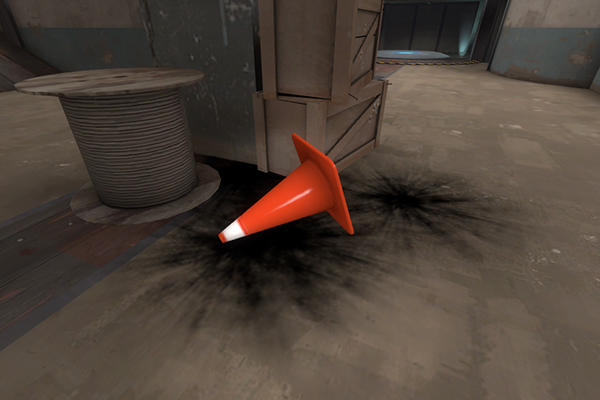 Took way too much effort to knock this cone over. A lot of maps feature traffic cones for some reason. They’re just scattered about to add some nice orange to the normally rather dull brown and grey features of some maps. Turns out, with enough force, you can knock the traffic cones over and throw them around. It does take a lot of effort though, and most cones can only be moved by blowing them up with rockets, grenades or stickies. The cones on Mannhatten are probably the easiest to move around as there’s often a large horde of robo-Soldiers firing in your general direction. Gullywash also has a lot of cones for some reason. Gullywash also has the rubbish floating around that can be shot, as well as a couple of precariously balanced bottles and buckets. There’s also some stickies scattered around somewhere that can be knocked around, one using a cut ‘super sticky’ model and another with the Sticky Jumper’s sticky model. Speaking of Gullywash, go visit some time. There’s loads of cool little Easter eggs scattered around there.